The Law Execution Department has proposed an amendment to the Condominium Act suggesting that the legal requirement of outstanding common area management (CAM) fee be settled with the condominium juristic person prior to a used condominium unit being transferred to a new buyer should not be applied to forced condominium sales by the authority. 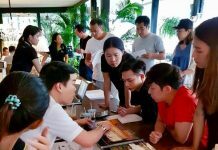 The department also suggests that it should be the condominium juristic person’s responsibility to chase outstanding CAM fee from the previous owners. The Law Execution Department’s objective is to unlock forced sales of condominiums that it auctions off, since many prospective buyers decline to acquire a condominium unit for which they will have to pay for outstanding CAM fees and subsequent surcharge for late payment on behalf of the previous owners. 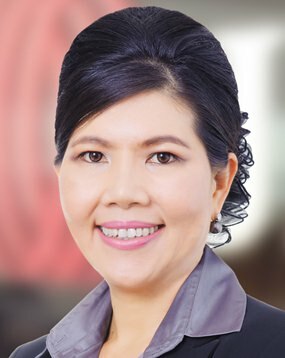 Suphin Mechuchep, Managing Director JLL Thailand. “The amendment to the law should help facilitate the forced sales of condos auctioned off by the Law Execution Department. 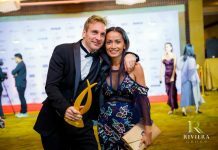 However, it could become a threat to the condominium juristic person’s financial status as it will be more unlikely that the payment of the outstanding CAM fee could be recovered after the condo unit is transferred to a new owner,” said Suphin Mechuchep, Managing Director of property services company JLL Thailand. Generally, when an owner fails to meet CAM fee payment deadlines, the condominium juristic person could impose different measures from issuing a warning and legal notice to restricting services to the owner and not issuing a debt free certificate required for ownership transfer. “Most of these measures may mean nothing to the owner once the ownership is transferred to a new owner. The juristic person committee could file a lawsuit but this is the least preferred option as it is generally a costly and time-consuming process. At the end of the day, the nonpayment will virtually become a bad debt and consequently a financial burden to the juristic person. This could put the condominium at risk in the longer term if bad debts grow,” said Mrs. Suphin. JLL expects the proposed legal change to have limited impact on condominium buildings it manages. The firm predominantly manages condominiums in the high end segment of the market where nonpayment of CAM fees is not as much of an issue as other sectors. “It is more likely to be a threat to the mid-to-low priced condominium segments where there are more owners abandoning their condos and not paying CAM fee,” said the JLL chief. Suphin said she also expects that condominium juristic persons will put a greater emphasis on the efficiency of the property management teams if the proposed legislation change is passed. “The property management team must work diligently on invoicing and collection while enforcing penalty measures on nonpayment. Regular monthly collections could help minimise big debts that could become unaffordable to some co-owners in a later phase,” she explained. “After all, any legislation change must be fair to all parties involved. In addition, as some clauses within the Condominium Act remain open to interpretation, it may be a good idea to ask the actual property managers or condominium juristic person managers which items should be clarified or changed as they deal in this area and ultimately could be a good source of feedback for legislators,” Mrs. Suphin concluded.